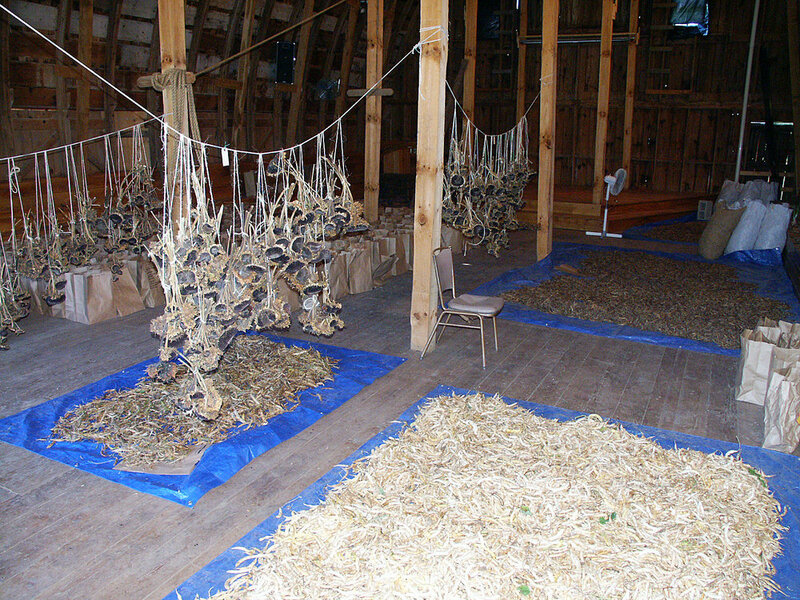 Seeds are hung and laid out for drying in the lower barn at Heritage Farm. It’s been used for dances and dinners, speakers and seed storage, and, yes, even a gift shop for visitors to Heritage Farm, the Decorah, Iowa-based headquarters of Seed Savers Exchange. But behind the scenes, Heritage Farm’s historic barn—raised in the late 1920s—has also played a key role for years in one of the organization’s most important functions: processing seeds. Today staff load up their trucks with tubs of fleshy crops—think melons, tomatoes, and peppers—back up those trucks to the barn, and unload the fruits of their months of labor. "We will bring in anything that has to have flesh removed before we can extract and clean the seed," says Holmgren. "Then the processing itself takes place down there as well. . . . So we will extract seeds, leave some crops to ferment, and then lay crops out on screens with fans to dry or at least do the initial drying." Each year the upper level of the historic barn at Heritage Farm hosts a toe-tapping dance during Seed Savers Exchange's Conference and Campout. Today, the hardworking barn at Seed Savers Exchange is in dire need of repairs. Your gift will help fund critical repairs that will help ensure the barn stands for years to come. Repairing the barn this year is necessary so that this structure can remain a functional building on our seed farm. A symbol of our agrarian roots and our connection to the land, it is also a place where we continue to inspire visitors with the story of our work protecting our heirloom seed supply. 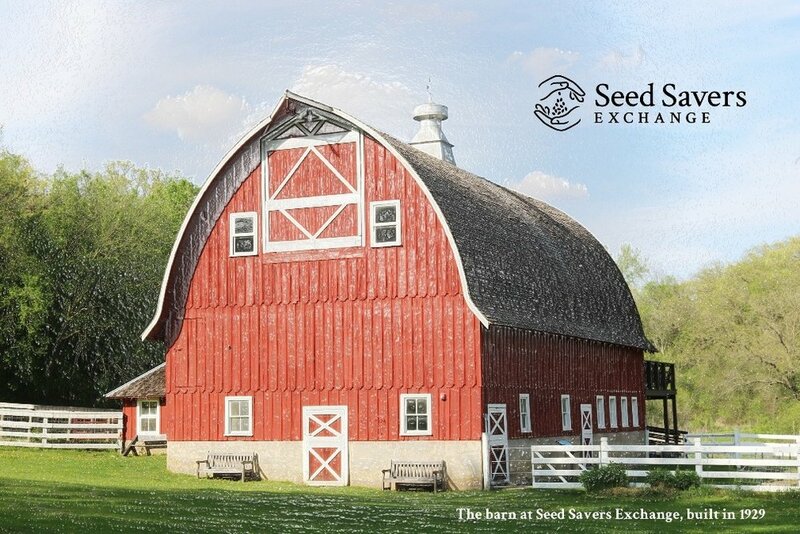 Construction is scheduled to start this fall, and you can play an important part in making it happen by making a gift to the Restore the Barn at Seed Savers Exchange fundraiser.